Warning! If you have a swarm of bees that are threatening the safety of you, your family or your neighbors, don’t hesitate – call your San Juan Capistrano bee removal experts at Bee Busters! San Juan Capistrano Bee Removal: Bee removal requires an expert. 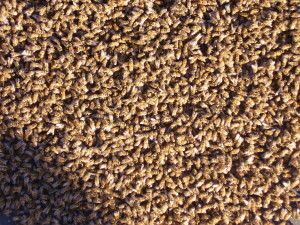 Removing a bee swarm or a bee colony is very risky as enraged bees can be very dangerous. Moreover, unskilled efforts at removal may even lead to you damaging your property or even hurting yourself. This is why it is important for you to seek out professional help from a good San Juan Capistrano bee removal service if you are facing a bee related problem. Bee Keeping: Apiculture is also a hobby for many enthusiasts. However, this is a dangerous hobby that requires a certain level of expertise. This expertise can only be acquired from a seasoned bee keeper who has a lot of experience to impart to novices. Owing to a growing interest in this hobby, such service providers are now open to educating people on how to keep bees. San Juan Capistrano boasts of many old style homes and buildings. Many of these building are very old as they were constructed in the 18th century which makes this region one of the most historic in the whole of Orange County, California. 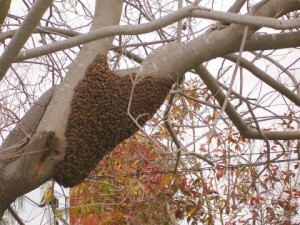 However, old style homes and buildings also mean that they are ripe for bees to colonize. This happens because the attics and hollow spaces of these buildings tend to be ideal for bees to make their home because they protect them from predators and the elements. When bees actually make home on a property, you need a San Juan Capistrano bee removal service you can count on. Bee busters has been performing San Juan Capistrano bee removal for over 30 years. We have all the right tools and experience to get the San Juan Capistrano bee removal done safely and efficiently. There are many ways through which bees can become a nuisance. First of all, you could get stung by the bees. If you have a pet, your pet could be stung or step on a dead one and get stung in the paw. Somebody else could be stung. If you don’t take care of a bee problem that you’re aware of and somebody gets stung, you could face legal issues. Save yourself the time and hassle, hire Bee Busters for all your San Juan Capistrano bee removal needs. If you own property in San Juan Capistrano as well and are facing a problem pertaining to bees then you may need to seek out expert help in the form of a high quality San Juan Capistrano bee removal service provider. Bee Busters, Inc. is a professional bee removal company serving Southern California for over 30 years. Bee problems can be very harrowing and frustrating for a person who does not know how to deal with them. It is important for you to call our top class San Juan Capistrano Bee Removal and Bee Control Service. 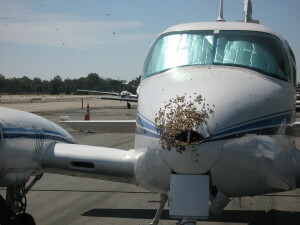 Contact Bee Busters, Inc. now at 949-459-0024. Call your San Juan Capistrano Bee Removal Experts Today!